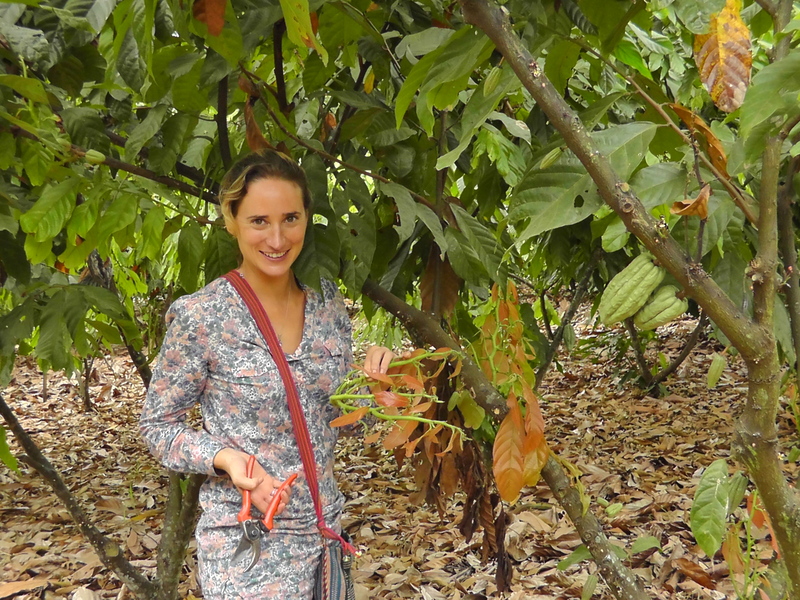 After several months learning about the intricacies of Peru’s cacao production and the producer-supply chain, I decided it was time to discover another Latin American country renowned for its fine-flavoured and aromatic cocoa beans: Ecuador. 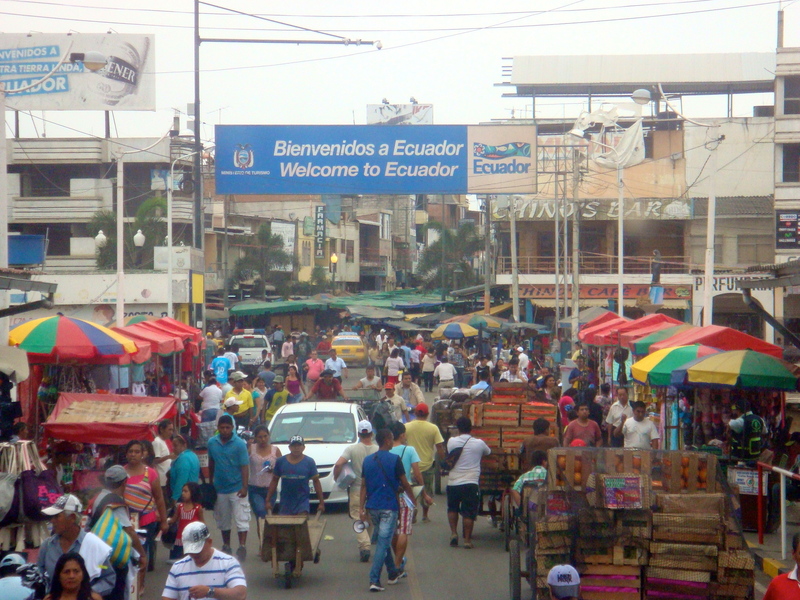 Ecuador, unlike Peru, has a deep-rooted history in the cultivation and trading of cacao. Chronicles dating back to the arrival of the Spanish conquistadores on the Pacific coast describe their astonishment at seeing gigantic cacao trees cultivated by the inhabitants of the Ecuadorean coastal areas. 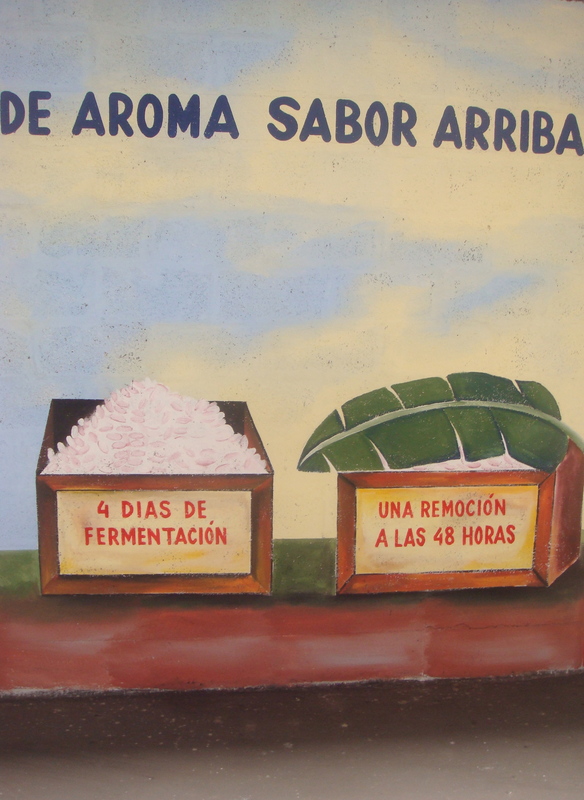 Ecuador has long been known as the world’s largest producer of fine-aroma cacao. 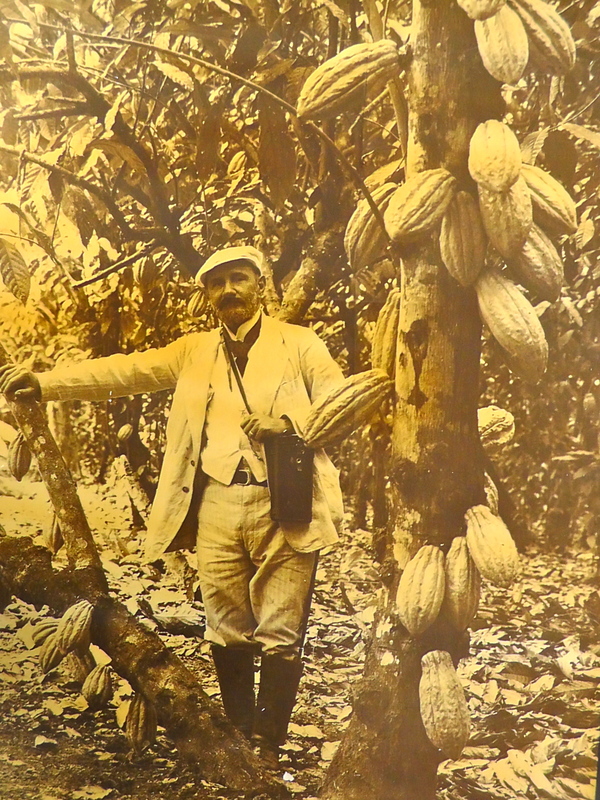 During the late 19th century, it was the world’s largest cacao exporter. Today, only 5% of the world’s cacao beans are considered as “fine grade”, as the majority is bulk cacao used for manufacturing of mass-market chocolate. Ecuador, followed by Venezuela, Panama and Mexico, is the largest supplier of these fine beans. According to Ecuador government export statistics, Ecuador supplies an astonishing 63% of the world’s finest aromatic cacao beans. 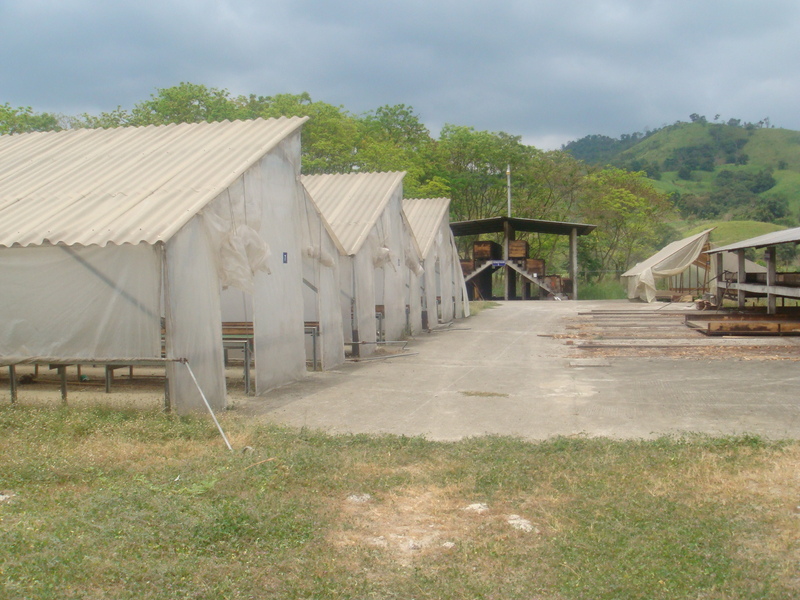 In 2011, it exported 180 thousand tonnes of cacao worth $500 million, of which 70% was classed as the fine aromatic national cacao variety and 30% as the more ordinary CCN-51 forastero variety. 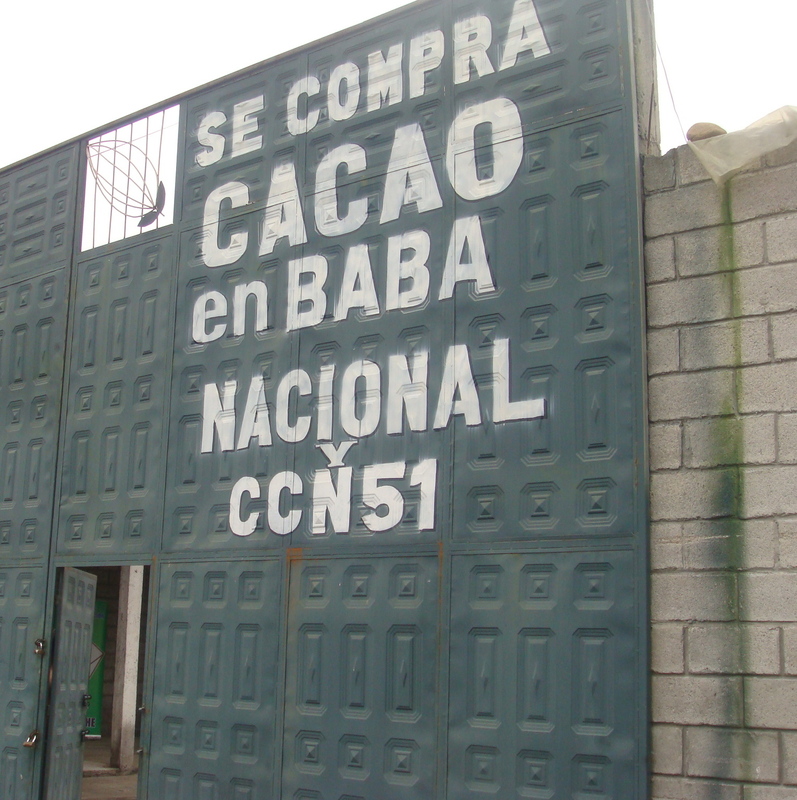 Cacao is Ecuador’s third most important export commodity after oil and bananas. 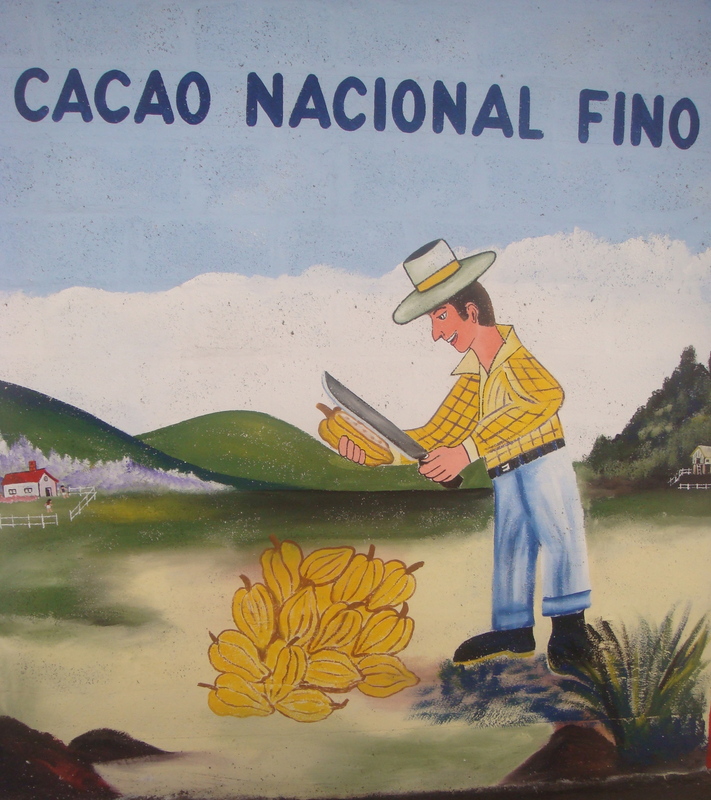 Ecuador’s native cacao variety is often referred to as “cacao nacional, arriba”. Thanks to its distinctive aroma and predominant floral flavours, the Ecuador nacional arriba bean has always been in great demand among international chocolate makers. I ponder on the name “arriba”, which in English means “up there”. The story goes that a Swiss chocolatier in the 19th century, while navigating along the Guayas River in quest of Ecuador’s “pepe de oro” (golden seeds), encountered men bringing down freshly harvested cacao. Upon smelling it, he asked where it came from and they responded “del rio arriba” which turned out to be up the river area of the Guayas River Basin in the lowlands of southwestern Ecuador. 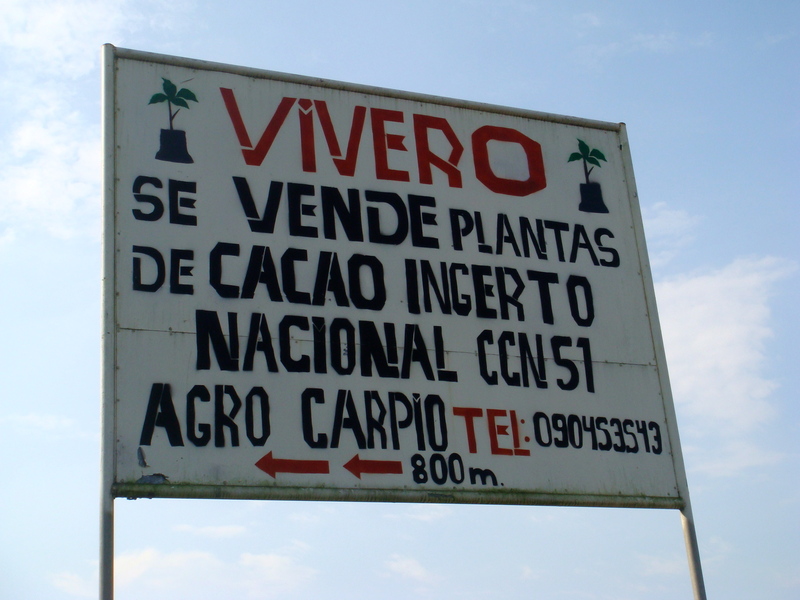 There is much controversy today about the use of the “arriba” label, since it has become the all-round name to describe all of Ecuador’s national cacao variety. 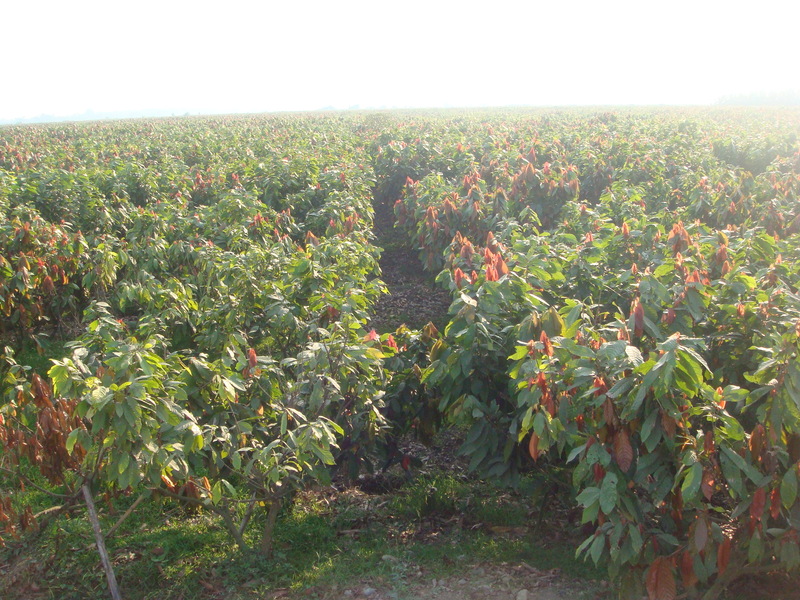 If one were to follow the original provenance of the arriba bean with its unique floral flavours, the denomination should really be confined to the national variety grown up the river area of the Guayas River Basin, which includes the areas of Los Ríos, Guayas, El Oro and Bolívar. 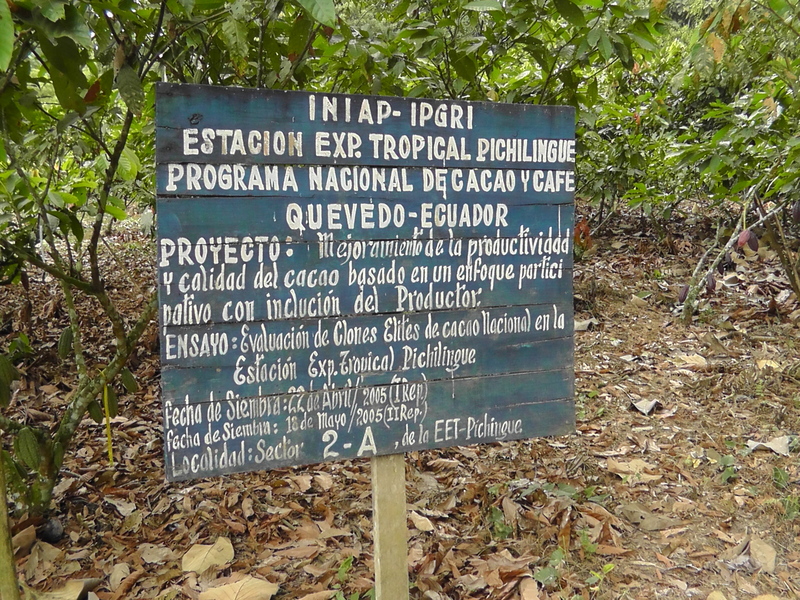 As I spend time with agricultural engineers and academics at the governmental Cacao Research and Investigation Centre INIAP, I learn more about the challenges of Ecuador’s rich cacao heritage. Just as Ecuador was becoming a flourishing fine-cacao exporter in the early 1900s, it was hit by the “escoba de bruja”, the so-called witch’s broom disease that destroyed entire plantations of its national cacao. 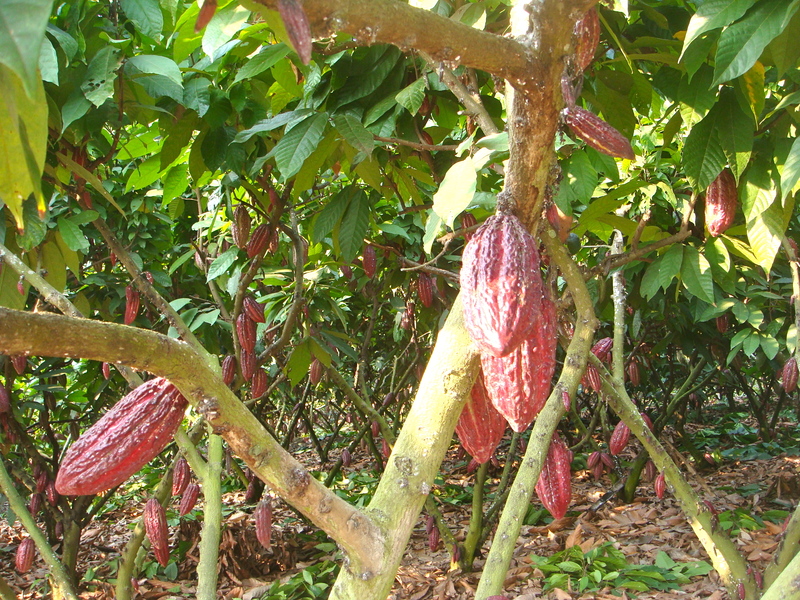 To replant them, cacao varieties with better tolerance to witch’s broom were imported from Venezuela and Trinidad. 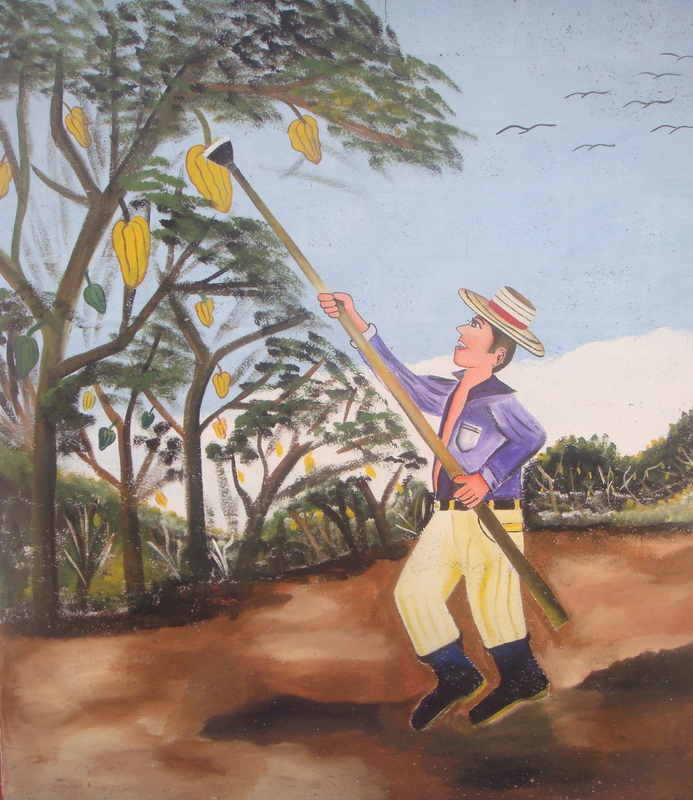 In the 1940s, Ecuador’s cacao plantations were again hit by another disease called “la monilla”. 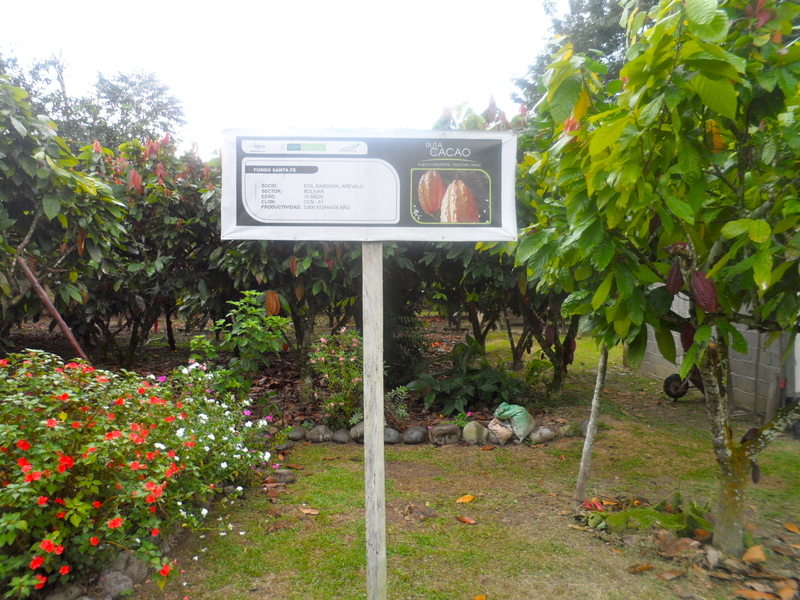 This once again largely eradicated what was left of Ecuador’s national cacao variety, and from there began the genetic crossing of different national cacao types in order to create varieties that are more resistant to diseases. 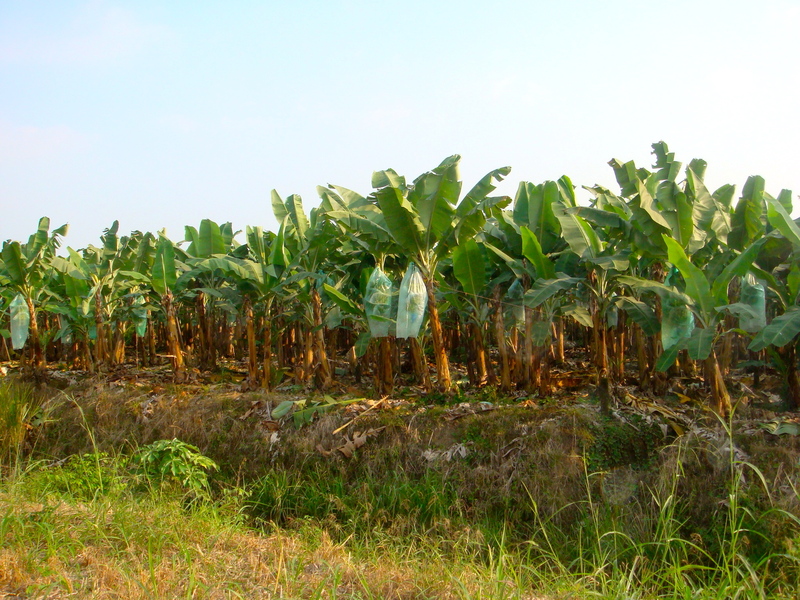 As INIAP agricultural engineer Juan Carlos Gimenez explained to me, it was at this stage that the quality of Ecuador’s national variety really began to diminish and cacao began to be replaced with more profitable crops such as coffee and bananas. 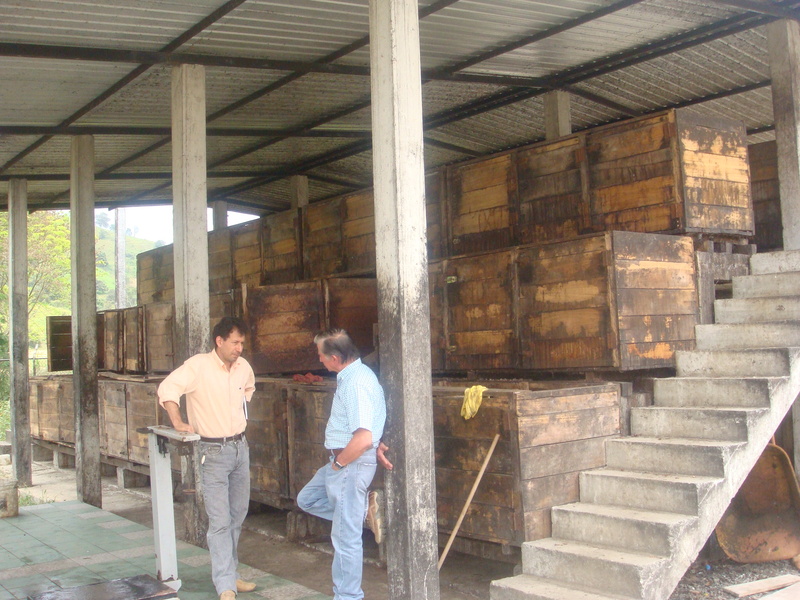 In the 1970s, booming world cacao prices led Ecuador to revive cacao production. 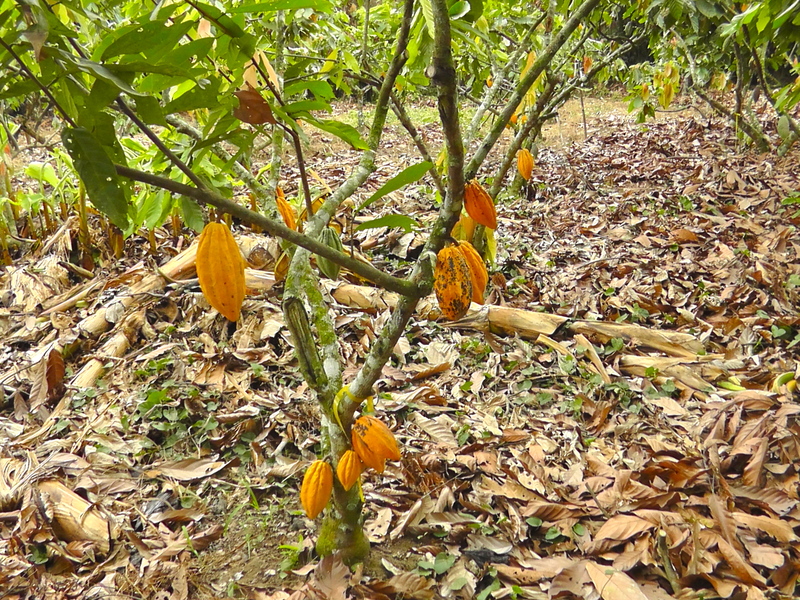 Ecuador’s special national cacao variety was once again in strong demand. But then a new challenge arose, with the introduction of the CCN-51 variety. 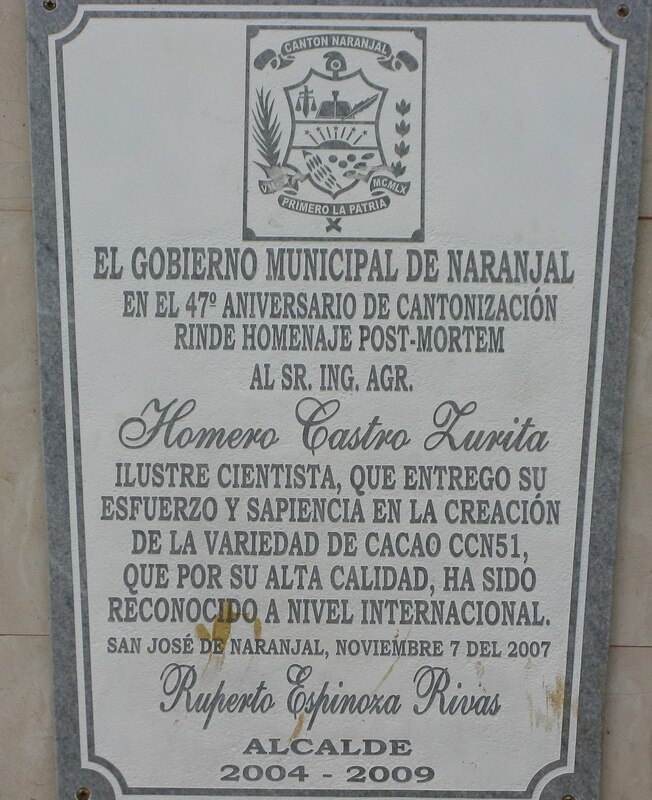 CCN-51 – the letters stand for Collección Castro Naranjal – is a genetic clone developed in 1965 by the Ecuadorean agronomist Homero Castro Zurita. It is designed to resist diseases and produce higher yields while still retaining characteristics of quality beans but with lower flavour profiles. In Peru, I had already witnessed the spread of CCN-51. In many cacao plantations, particularly in the region of San Martín, it is supplanting Peru’s native criollo varieties that contain the special flavour profiles and aromas sought by the world’s finest chocolate makers. Today, Ecuador’s main challenge is maintaining production levels of its national beans, which are steadily being replaced with the CCN-51. 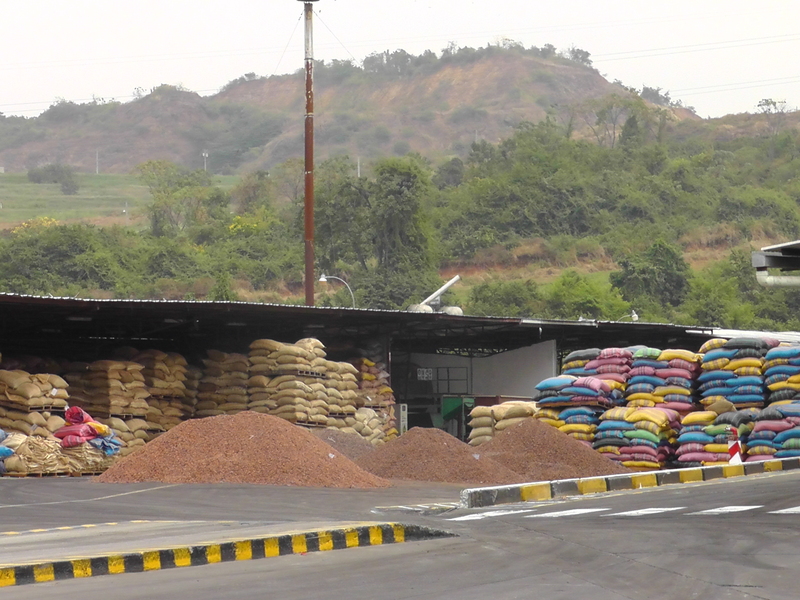 Visiting Ecuador’s main producing areas in Los Rios, Santo Domingo and Shushufindi, I am stunned by the quantity of CCN-51 plantations and by the mixing of CCN-51 with the national variety in farmers’ plantations and collection centres. 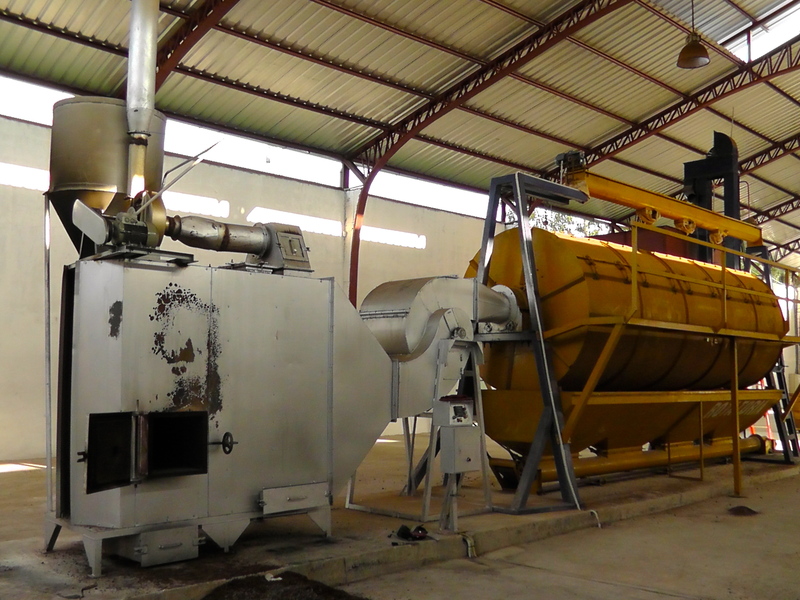 Having witnessed the high-quality post-harvest processes in the cooperatives that I visited in Peru, I am equally astonished to see the lack of fermentation modules and drying areas, as well as the quantities of semi-dried beans that are placed in artificial drying machines, sometimes operated with gas, oil or palm. It feels as if all my understanding of what should be a correct post-harvest process has been turned on its head! Not only are the beans fermented and dried in a hurry. 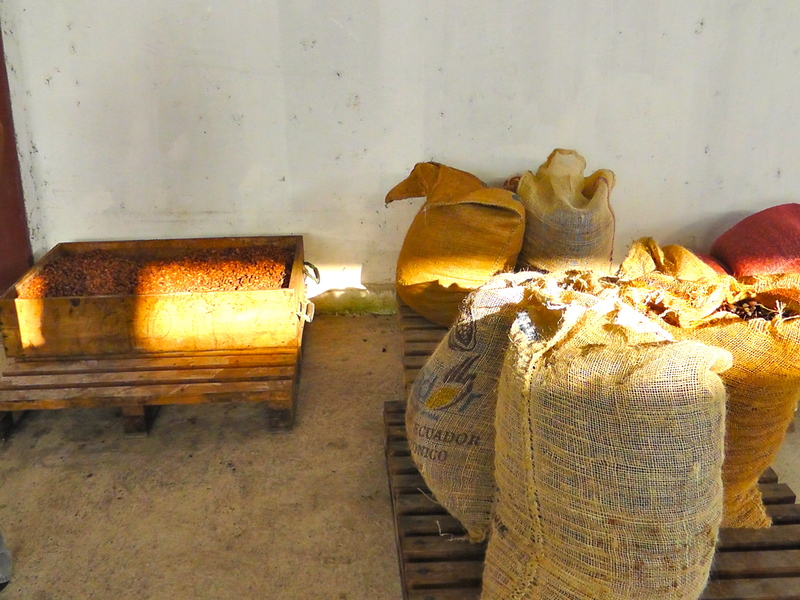 Both national and CCN varieties, which require different fermentation periods, are processed together sometimes in the fermentation modules or in the yute sacks. 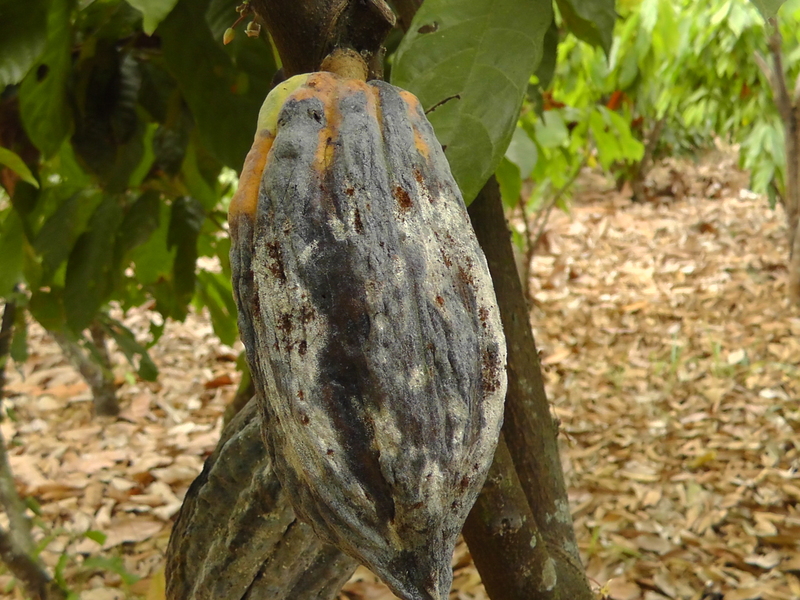 It seems that this is a common problem in Ecuador’s main cacao-producing areas, due to the lack of financial incentives to producers to supply quality beans. The fermentation process for the national variety is shorter than for CCN-51, generally lasting only for four days with stirring only twice during the fermentation process, which we test with mini fermentation modules at INIAP. As I learn from subsequent research, my observations are indeed supported by professional chocolatiers, in particular Jeffrey Stern. Sadly, however, the big buyers of beans are mainly traders and mass-market chocolate manufacturers, more interested in quantity and price than in the quality and unique flavours of the beans that they buy. Determined not to leave Ecuador disillusioned, I take time to visit some of the producer associations that work exclusively with the national variety in the area of Los Rios, Esmeraldas and Manabi. 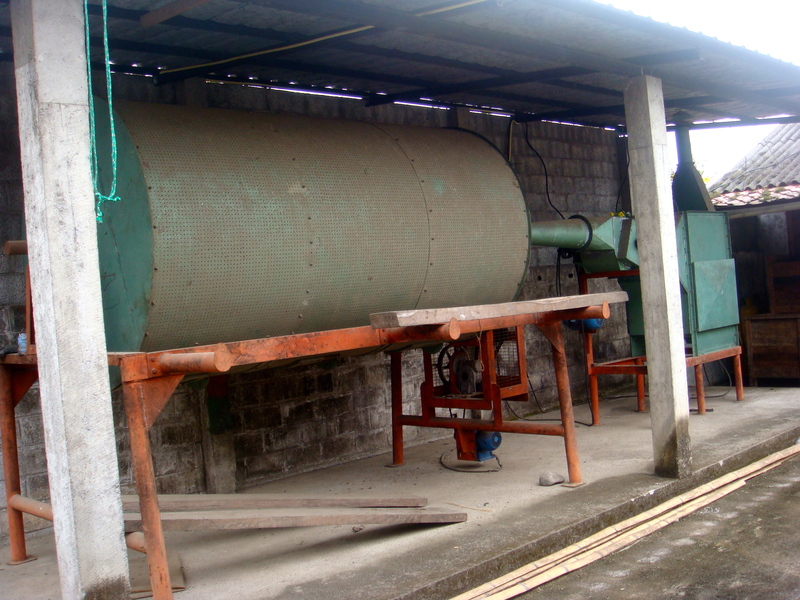 It is good to finally see again elaborate fermentation and drying processes. Although these are only few in numbers, they follow the post-harvest processes required for the fermentation of the national variety. Here, at last, I am able to taste the unique floral and frutal flavours of Ecuador’s national varieties.